Enjoy the resort lifestyle at the gated community of Palm Royale Country Club. 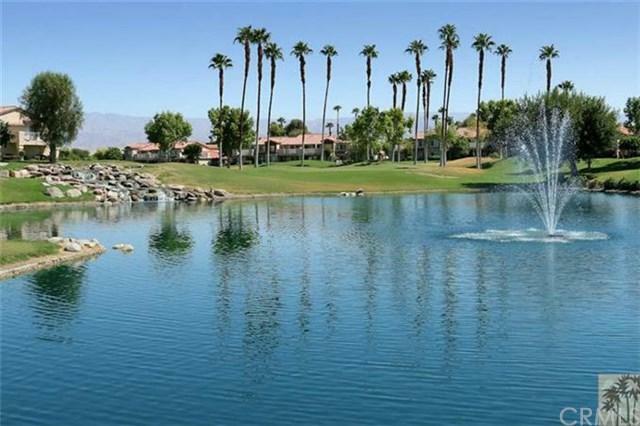 Here your reasonable Monthly HOA dues include unlimited golf, use of 4 lighted tennis courts & six pools & spas. 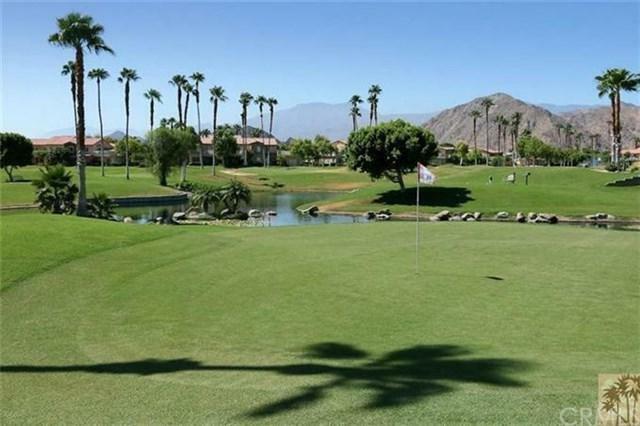 Invite your friends, & they can take advantage of Palm Royale's friendly green fees, then join you for refreshments in the clubhouse or on your private patio overlooking the Palm Royale executive golf course & the Santa Rosa Mountains. 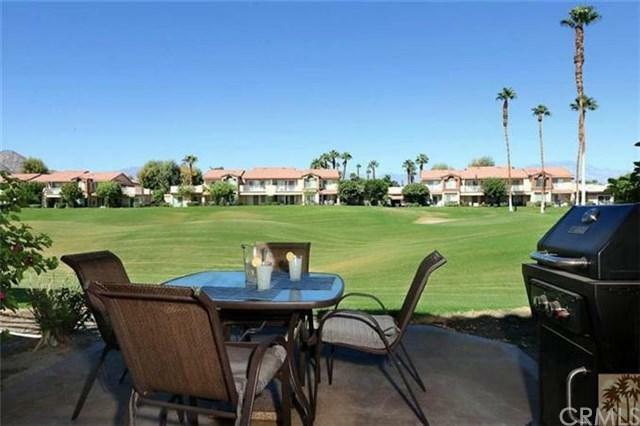 This 2 bedroom, 2 bath condo is located in a prime location on the golf course, overlooking the 17th tee, just a short walk from your community pool, spa and tennis courts. The living area features oversize tile floors, plantation shutters & handsome kitchen area with updated stainless steel appliances. Tile floors continue into the bright master bedroom with ceiling fan, plantation shutters & en suite bath. The den/office can easily be used as a second bedroom. Palm Royale is located near shopping, restaurants, world-class tennis and golf courses.